Sir Joseph Austen Chamberlain, KG (16 October 1863 – 16 March 1937) was a British statesman, son of Joseph Chamberlain and older half-brother of Neville Chamberlain. He served as Chancellor of the Exchequer (twice) and was briefly Conservative Party leader before serving as Foreign Secretary. Brought up to be the political heir of his father, whom he physically resembled, he was elected to Parliament as a Liberal Unionist at a by-election in 1892, and held office in the Unionist coalition governments of 1895-1905, remaining in the Cabinet as Chancellor of the Exchequer (1903-05) after his father resigned in 1903 to campaign for Tariff Reform. After his father's disabling stroke in 1906 Austen became the leading tariff reformer in the House of Commons. Late in 1911 he and Walter Long were due to fight one another for the leadership of the Conservative Party (in succession to Arthur Balfour), but both withdrew in favour of Bonar Law rather than risk a party split on a close result. Chamberlain returned to office in Asquith's wartime coalition government in May 1915, as Secretary of State for India, but resigned to take responsibility for the failure of the Kut Campaign. He again returned to office in Lloyd George's coalition government, once again serving as Chancellor of the Exchequer. He then served as Conservative Party leader in the Commons (1921-2), before resigning after the Carlton Club meeting voted to end the Lloyd George Coalition. Like many leading coalitionists, he did not hold office in the Conservative governments of 1922-4. However, by now regarded as an elder statesman, he served an important term as Foreign Secretary in Stanley Baldwin's Second Government (1924-9), during which he negotiated the Locarno Pact (1925), aimed at preventing war between France and Germany, for which he was awarded the Nobel Peace Prize. He last held office as First Lord of the Admiralty in 1931, but remained an active backbench MP until his death in 1937. He was one of the few MPs supporting Winston Churchill's appeals for rearmament against the German threat in the 1930s. Austen Chamberlain was born in Birmingham, the second child and eldest son of Joseph Chamberlain, then a rising industrialist and political radical, later Mayor of Birmingham and a dominant figure in Liberal and Unionist politics at the end of the 19th century. His mother, the former Harriet Kenrick, died in childbirth, leaving his father so shaken that for almost 25 years he maintained a distance from his first-born son. In 1868, his father married Harriet's cousin, Florence, and had further children, the oldest of whom, Arthur Neville, would become Prime Minister in the year of Austen's death. Austen was educated first at Rugby School, before passing on to Trinity College, Cambridge. While at Trinity College, he became a lifelong friend of F. S. Oliver, a future advocate of Imperial Federation and, after 1909, a prominent member of the Round Table movement. Chamberlain made his first political address in 1884 at a meeting of the university's Political Society and was vice-president of the Cambridge Union Society. It would seem that from an early age his father had intended for politics to be Austen's future path, and with that in mind, he was sent first to France, where he studied at the Paris Institute of Political Studies and developed a lasting admiration for the French people and culture. For nine months, he was shown the brilliance of Paris under the Third Republic, and he met and dined with the likes of Georges Clemenceau and Alexandre Ribot. From Paris, Austen was sent to Berlin for twelve months, to imbibe the political culture of the other great European power, Germany. Though in his letters home to Beatrice and Neville, he showed an obvious preference for France and the lifestyle he had left behind there, Chamberlain undertook to learn German and learn from his experience in the capital of the Second Reich. Among others, Austen met and dined with the "Iron Chancellor", Otto von Bismarck, an experience that was to hold a special place in his heart for the duration of his life. While attending the University of Berlin, Austen developed a suspicion of the growing nationalism in Germany based upon his experience of the lecturing style of Heinrich von Treitschke, who opened up to him "a new side of the German character - a narrow-minded, proud, intolerant Prussian chauvinism", the consequences of which he was later to ponder during the First World War and the crises of the 1930s. Austen returned to England in 1888, lured largely by the prize of a parliamentary constituency. He was first elected to parliament as a member of his father's own Liberal Unionist Party in 1892, sitting for the seat of East Worcestershire. Owing to the prominence of his father and the alliance between the anti-Home Rule Liberal Unionists and Conservatives, Chamberlain was returned unopposed on 30 March, and at the first sitting of the new session, he walked up the floor of the house flanked by his father and his uncle, Richard. Owing to the dissolution of parliament and the 1892 general election that August, Chamberlain was unable to make his maiden speech until April 1893, but, when delivered, it was acclaimed by the four-time Prime Minister William Ewart Gladstone as "one of the best speeches which has been made". That Chamberlain was speaking against Gladstone's own Second Home Rule Bill does not seem to have dampened the enthusiasm of the Prime Minister, who responded by publicly congratulating both Austen and his father, Joseph, on such an excellent performance. That was highly significant, given the bad blood existing between Joseph Chamberlain and his former leader. Appointed a junior Whip of the Liberal Unionists after the general election, Austen's main role was to act as his father's "standard bearer" in matters of policy. Following the Conservative and Unionist landslide win in the election of 1895, Chamberlain was appointed Civil Lord of the Admiralty, holding that post until 1900, when he became Financial Secretary to the Treasury. Lord Salisbury retired as Prime Minister in July 1902, and the following month Chamberlain was promoted to the position of Postmaster General by the new premier, the Conservative Arthur J. Balfour, who also designated this a cabinet position, and appointed him to the Privy Council. In the wake of the struggle between his father and Balfour, Austen Chamberlain became Chancellor of the Exchequer in 1903. Austen's appointment was largely a compromise solution to the bitter division of the two Unionist heavyweights, which threatened to split the coalition between supporters of Chamberlain's Imperial Tariff campaign and Balfour's more cautious advocacy of protectionism. While Austen supported his father’s programme, his influence within the cabinet was diminished following the departure of the senior Chamberlain to become backbenchers. Facing a resurgent Liberal opposition and the threat of an internal party split, Balfour eventually took the Unionists into opposition in December 1905, and in the ensuing rout in the election of 1906, Austen found himself one of the few surviving Liberal Unionists in the House of Commons. After his father's stroke and enforced retirement from active politics a few months later, Austen became the effective leader of the tariff reform campaign within the Unionist Party, and thus, he was a contender for the eventual leadership of the party itself. With the Unionists in disarray after electoral defeats at both the January and December 1910 elections, Balfour was forced from his position as party leader in November 1911. Chamberlain was one of the leading candidates to succeed as Conservative leader even though he was still technically a member of the Liberal Unionist wing of the coalition (the two parties merged formally only in 1912). Chamberlain was opposed by Canadian-born Bonar Law, Walter Long and Irish Unionist Edward Carson. Given their standing in the party, only Chamberlain and Long had a realistic chance of success and though Balfour had intended Chamberlain to succeed him, it became clear from an early canvass of the sitting MPs that Long would be elected by a slender margin. After a short period of internal party campaigning, Chamberlain determined to withdraw from the contest for the good of the still-divided party. He succeeded in persuading Long to withdraw with him in favour of Bonar Law, who was subsequently chosen by unanimous vote as a compromise candidate. Chamberlain's action, while it prevented him from attaining the party leadership and, arguably, the premiership, did a great deal to maintain unity within the Conservative and Liberal Unionist parties at a time of great uncertainty and strain. In the last years before the outbreak of World War I, Chamberlain was concerned with one issue above all others: Home Rule for Ireland. The issue that had prompted his father to leave the Liberal Party in the 1880s now threatened to spill over into outright civil war, with the government of H. H. Asquith committed to the passage of a Third Home Rule Bill. Chamberlain was resolutely opposed to the dissolution of the Union with Ireland. To the strain then was added the death of his father in July 1914, only a few days after the assassination of Archduke Franz Ferdinand of Austria, which began the train of events that led to the war. Pressure from the Conservative opposition, in part led by Chamberlain, eventually resulted in the formation of the wartime coalition government, in 1915. Chamberlain joined the cabinet as Secretary of State for India. Like other politicians, including Arthur Balfour and George Curzon, Chamberlain supported the invasion of Mesopotamia to increase British prestige in the region, thus discouraging a German-inspired Muslim revolt in India. Chamberlain remained at the India Office after David Lloyd George succeeded Asquith as Prime Minister in late 1916, but following inquiries into the failure of the Mesopotamian campaign (undertaken by the separately-administered Indian Army) in 1915, including the loss of the British garrison during the Siege of Kut, Chamberlain resigned his post in 1917; as the minister ultimately responsible, the fault lay with him. He was widely acclaimed for such a principled act. After Lloyd George's Paris speech (12 November 1917) at which he said that "when he saw the appalling casualty lists he wish(ed) it had not been necessary to win so many ("victories")" there was talk of Chamberlain withdrawing support from the government. Lloyd George survived by claiming that the aim of the new inter-Allied Supreme War Council was purely to "coordinate" policy, not to overrule the British generals, who still enjoyed a good deal of support from Conservatives. Later, he returned to government and became a member of the War Cabinet in April 1918 as Minister without Portfolio, replacing Lord Milner, who had become Secretary of State for War. Following the victory of the Lloyd George coalition in the 1918 general election, Chamberlain was again appointed to the position of Chancellor of the Exchequer in January 1919 and immediately faced the huge task of restoring Britain's finances after four years of wartime expenditure. Citing ill health, Bonar Law retired from the leadership of the Conservative branch of the Lloyd George government in the spring of 1921. His seniority and the general dislike of Curzon, his counterpart in the House of Lords, helped Chamberlain to both succeed Bonar Law as Leader of the House of Commons and take over in the office of Lord Privy Seal. He was succeeded at the Exchequer by Sir Robert Horne; it seemed that after ten years of waiting, Austen would again be given the opportunity of succeeding to the premiership. The Lloyd George coalition was beginning to falter, following numerous scandals and the unsuccessful conclusion of the Anglo-Irish War, and it was widely believed that it would not survive until the next general election. He had previously had little regard for Lloyd George, but the opportunity of working closely with the "Welsh Wizard" gave Chamberlain a new insight into his nominal superior in the government (by now, the Conservative Party was by far the largest partner in the government). It was an unfortunate change of allegiance for Chamberlain, for by late 1921, the Conservative backbenchers were growing more and more restless for an end to the coalition and a return to single-party (Conservative) government. Conservatives in the House of Lords began, in public, to oppose the coalition, disregarding calls for support from Chamberlain. In the country at large, Conservative candidates began to oppose the coalition at by-elections, and discontent spread to the House of Commons. In the autumn of 1922, Chamberlain faced a backbench revolt, largely led by Stanley Baldwin, designed to oust Lloyd George, and when he summoned the Carlton Club meeting 19 October 1922, of Conservative MPs, a motion was there passed for fighting the forthcoming election as an independent party. Chamberlain resigned the party leadership rather than act against what he believed to be his duty. He was succeeded by Bonar Law, whose views and intentions he had predicted the evening before the vote at a private meeting. Bonar Law formed a government shortly thereafter, but Chamberlain was not given a post, but it seems that he would not have accepted a position even if he had been offered one. Austen and Neville Chamberlain and Iain Duncan Smith are the only three Conservative leaders not to lead the party into a general election. Until William Hague (1997-2001), Austen was the only Conservative leader in the 20th century not to become Prime Minister. After the second resignation of Bonar Law in May 1923 (Law died from throat cancer later that year), Chamberlain was passed over again for the leadership of the party in favour of Stanley Baldwin. Baldwin offered Chamberlain the post of Lord Privy Seal, but Chamberlain insisted other former ministers from the Coalition to be included as well; Baldwin refused. However, Chamberlain returned to government when Baldwin formed his second ministry following success in the election of October 1924, serving in the important office of Secretary of State for Foreign Affairs from 1924 to 1929. Chamberlain was largely allowed a free hand by the easy-going Baldwin. It is as Foreign Secretary that Chamberlain's place in history was finally assured. In a difficult period in international relations, Chamberlain faced not only a split in the entente cordiale by the French invasion of the Ruhr but also the controversy over the 1924 Geneva Protocol, which threatened to dilute British sovereignty over the issue of League of Nations economic sanctions. Garter-encircled shield of arms of Sir Joseph Austen Chamberlain, KG, as displayed on his Order of the Garter stall plate in St. George's Chapel, viz. Gules, a key in bend between two lions rampant or. Despite the importance to history of other pressing issues, his reputation chiefly rests on his part in the negotiations over what came to be known as the Locarno Pact of 1925. Seeking to maintain the postwar status quo in the West, Chamberlain responded favourably to the approaches of German Foreign Minister Gustav Stresemann for a British guarantee of Germany's western borders. Besides promoting Franco-German reconciliation, Chamberlain's main motive was to create a situation in which Germany could pursue territorial revisionism in Eastern Europe peacefully. Chamberlain's understanding was that if Franco-German relations improved, France would gradually abandon the Cordon sanitaire, the French alliance system in Eastern Europe between the wars. Once France had abandoned its allies in Eastern Europe as the price of better relations with the Reich, the Poles and Czechoslovaks would have no Great Power ally to protect them, would be forced to adjust to German demands. Chamberlain believed that they would peacefully hand over the territories claimed by Germany such as the Sudetenland, the Polish Corridor and the Free City of Danzig. Promoting territorial revisionism in Eastern Europe in Germany's favour was one of Chamberlain's principal reasons for Locarno. Together with Aristide Briand of France, Chamberlain and Stresemann met at the town of Locarno in October 1925 and signed a mutual agreement (together with representatives from Belgium and Italy) to settle all differences between the nations by arbitration, not war. For his services, Chamberlain was not only awarded the Nobel Peace Prize but also made a Knight of the Order of the Garter. He was the first ordinary Knight of the Garter since Elizabethan times (Sir Henry Lee) to die without having been made a peer. He was the 871st Knight of the Garter. Chamberlain also secured Britain's accession to the Kellogg-Briand Pact, which theoretically outlawed war as an instrument of policy. Chamberlain infamously said that Italian dictator Benito Mussolini was "a man with whom business could be done". Following his less-satisfactory engagement in issues in the Far East and Egypt, and the resignation of Baldwin’s government after the election of 1929, Chamberlain resigned his position as Foreign Secretary and went into retirement. He briefly returned to government in 1931 as First Lord of the Admiralty in Ramsay MacDonald's first National Government, but soon retired later that year after having been forced to deal with the unfortunate Invergordon Mutiny. Over the next six years as a senior backbencher, he gave strong support to the National Government on domestic issues but was critical on foreign policy. In 1935 the government faced a parliamentary rebellion over the Hoare-Laval Pact; his opposition to the vote of censure is widely believed to have been instrumental in saving the government from defeat on the floor of the House. Chamberlain was again briefly considered in 1935 for the post of Foreign Secretary but was passed over once the crisis was over for being too old for the job. Instead, his advice was sought as to the suitability of his former Parliamentary Private Secretary, now Minister for the League of Nations, Anthony Eden for the post. From 1934 to 1937, Chamberlain was, with Winston Churchill, Roger Keyes and Leo Amery, the most prominent voice calling for British rearmament in the face of a growing threat from Nazi Germany. In addition to speaking eloquently in Parliament on the matter, he was the chairman of two Conservative parliamentary delegations in late 1936 that met with Prime Minister Stanley Baldwin to remonstrate with him about his government's delay in rearming the British defence forces. More respected than Churchill, Chamberlain became something of an icon to young Conservatives, as the last survivor of Victorian high politics. Though he never again served in a government, he survived in good health until March 1937, dying just ten weeks before his younger half-brother, Neville, became the first and only member of the Chamberlain dynasty to become Prime Minister. Chamberlain died at the age of 73 in his London home, 24 Egerton Terrace, on 16 March 1937. He is buried in East Finchley Cemetery in London. His estate was valued at probate at £45,044, a relatively modest sum for such a famous public figure. Much of his father's fortune had been lost in an attempt to grow sisal in the West Indies in the early 1890s, and unlike Neville, he never went into business to make money for himself. His personal and political papers are housed in the Cadbury Research Library at the University of Birmingham. In 1906, Chamberlain married Ivy Muriel Dundas (died 1941), daughter of Colonel Henry Dundas. They had two sons, Joseph and Lawrence, and a daughter, Diane. During the 1920s, Chamberlain lived at a house called Twytt's Ghyll in Fir Toll Road, Mayfield, East Sussex. He sold the house in 1929. R. C. G. Foster said, "He kept himself quite aloof from the village and was not popular with his neighbours". He had an interest in rock gardening. At his death, his estate was valued for probate at £45,044 18/1. ^ "History of Sir Austen Chamberlain - GOV.UK". ^ "Chamberlain, Joseph Austen (CHMN882JA)". A Cambridge Alumni Database. University of Cambridge. ^ "Chamberlain out of India Office" (PDF). The New York Times. 13 July 1917. Retrieved 20 January 2008. ^ a b c Stephen Schuker, "The End of Versailles" in The Origins of the Second World War Reconsidered: A.J.P. Taylor And The Historians edited by Gordon Martel (Routledge: 1999) p. 48-49. ^ Gijs Van Hensbergen (2005). Guernica: The Biography of a Twentieth-century Icon. Bloomsbury Publishing Plc. p. 92. ^ Alfred F. Havighurst (1985). Britain in Transition: The Twentieth Century. University of Chicago Press. p. 252. ^ "Ivy Muriel Dundas Chamberlain (1878 - 1941) - Find A Grave Memorial". ^ Cornish, Tim (January 2012). "Nobel Peace Prize for Mayfield Man". Mayfield and Five Ashes Newsletter. pp. 16–17. For such a prominent historical figure, Chamberlain has had very little attention from academics. The official biography by Sir Charles Petrie is reputable although the more recent work by David Dutton is a far more balanced account. Dutton is widely regarded as the expert on Austen Chamberlain although he disagrees with Richard Grayson's assessment of Chamberlain's views on France and Germany. Peter Marsh, author of the most recent biography of Joseph Chamberlain, is currently studying the Chamberlain family. Richard Scully is investigating Sir Austen's year in Germany and its subsequent effect on his opinions and politics. Dutton, David (1985). Austen Chamberlain: Gentleman in Politics. Bolton: R.Anderson. Dutton, D. J. (January 2011) . "Chamberlain, Sir (Joseph) Austen (1863–1937)". Oxford Dictionary of National Biography (online edn ed.). Oxford University Press. Grayson, Richard (1997). "Austen Chamberlain and the Commitment to Europe: British Foreign Policy, 1924–1929". London: Frank Cass. Johnson, Gaynor (March 2011). "Sir Austen Chamberlain, the Marquess of Crewe and Anglo-French Relations, 1924–1928". Contemporary British History (25#1): 49 –64. - argues that Crewe gave Chamberlain key ideas about French security and disarmament policy, the implementation of the Geneva Protocol, the Treaty of Locarno, and the Kellogg-Briand Pact. Johnson, Gaynor (2006). "Austen Chamberlain and Britain's Relations with France, 1924–1929". Diplomacy & Statecraft (17#4): 753–769. Sir Charles Petrie (1938). The Chamberlain Tradition. London: Lovat Dickson Limited. Petrie, Sir Charles (1939). The Life and Letters of the Right Hon. Sir Austen Chamberlain. London: Cassell & Co.
Alexander, M.S. ; Philpott, W.J. (1998). "The Entente Cordiale and the Next War: Anglo-French Views on Future Military Cooperation, 1928 –1939". Intelligence and National Security. 13 (1): 53–84. doi:10.1080/02684529808432463. "Archival material relating to Austen Chamberlain". UK National Archives. The East Worcestershire by-election, 1902 was a parliamentary by-election held for the House of Commons constituency of East Worcestershire on 15 August 1902. The Birmingham West by-election of 1914 was held on 14 July 1914. The by-election was held due to the death of the incumbent Conservative MP, Joseph Chamberlain. It was won by his son the Conservative candidate Austen Chamberlain, who was elected unopposed. Austen had resigned as MP for East Worcestershire in order to stand in Birmingham West, prompting a by-election in that constituency as well, which was held two days later. The East Worcestershire by-election of 1914 was held on 16 July 1914. The by-election was held due to the resignation in order for the incumbent Conservative MP, Austen Chamberlain, to fight a by-election in Birmingham West. It was won by unopposed the Conservative candidate Frederick Leverton Harris. Birmingham West was a parliamentary constituency represented in the House of Commons of the Parliament of the United Kingdom. It returned one Member of Parliament (MP), elected by the first-past-the-post voting system. It was created upon the abolition of the 3-seat Birmingham constituency in 1885 and abolished in 1950. Andrew Bonar Law (16 September 1858 – 30 October 1923), commonly called Bonar Law (), was a British Conservative politician who served as Prime Minister of the United Kingdom from 1922 to 1923. The Carlton Club meeting, on 19 October 1922, was a formal meeting of Members of Parliament who belonged to the Conservative Party, called to discuss whether the party should remain in government in coalition with a section of the Liberal Party under the leadership of Liberal Prime Minister David Lloyd George. The party leadership favoured continuing, but the party rebels led by Bonar Law and Stanley Baldwin argued that participation was damaging the party. The meeting voted decisively against the Coalition, which resulted in its collapse, the resignation of Austen Chamberlain as party leader, and the invitation of Bonar Law to form a Government. The Conservatives subsequently won the general election with an overall majority. East Worcestershire was a county constituency in the county of Worcestershire, represented in the House of Commons of the Parliament of the United Kingdom. It was created by the Reform Act 1832 for the 1832 general election, and elected two Members of Parliament (MPs), by the bloc vote system. Under the Redistribution of Seats Act 1885, its representation was reduced to one MP for the 1885 general election, elected by the first past the post voting system. The constituency was abolished for the 1918 general election. Herbert Armitage James, CH (3 August 1844 – 15 November 1931) was a Welsh cleric and headmaster of three leading public schools, who ended his "remarkable scholastic career", as it was later described by Austen Chamberlain, by becoming President of St John's College, Oxford. After an Oxford education and early teaching career at Marlborough College, he was headmaster of Rossall School from 1875 to 1886. It was said that he raised the school "to a pitch of all-round excellence which it had not known before". After suffering from health problems at Rossall, he served as Dean of St Asaph from 1886 to 1889. He returned to teaching in 1889, becoming headmaster of Cheltenham College and remaining in this post until 1895, despite being offered the position of headmaster of Clifton College. He then became headmaster of Rugby School and served there to great acclaim. His Rugby School nickname of "The Bodger" is still in use at the school. He left Rugby School in 1909 to become President of St John's College, Oxford, a position he held until his death 22 years later. He was a highly respected teacher and preacher, being described as one of the best preachers of his day. He was widely praised for his work at Rossall, Cheltenham, Rugby and St John's. He was made a member of the Order of the Companions of Honour by King George V in 1926. At a dinner in his honour held to mark this award, attended by over 200 friends and former students, he was described by Austen Chamberlain (the Secretary of State for Foreign Affairs) as "one of the greatest and most forceful characters who had ever devoted himself to education". The Lord Chancellor, Viscount Cave, also spoke at the dinner to praise James's directness in his opinions and decisions, his weighty judgment, his high character and his kindly nature. John Valentine Stevens (13 March 1852–14 August 1925) was a British trade unionist and Lib-Lab politician. Born in Bristol, Stevens completed an apprenticeship as a tinplate worker before moving to Birmingham. In 1874, he joined the Amalgamated Tin Plate Workers of Birmingham, Wolverhampton and District, and was elected as its President in 1880, and then as Secretary in 1886. In this role, he persuaded the various local associations of tinplate workers to unite, forming the National Amalgamated Association of Tin-Plate Workers in 1894. He was elected Secretary of the new union, dominating it until his retirement in 1919.Stevens was elected to Birmingham City Council on its formation in 1889, defeating Austen Chamberlain, retaining his seat as a Liberal-Labour member until 1907. At the 1900 general election, he stood in Birmingham East, but lost heavily, and was again defeated in December 1910. In 1897, the annual Trades Union Congress was held in Birmingham, and Stevens served as its President. He also held various prominent roles on the Birmingham Trades Council, was the first President of the National Committee of Organised Labour for Old Age Pensions, and was prominent in the Ancient Order of Foresters. Joseph Chamberlain (1836–1914) was a British politician and statesman, first a radical Liberal then a leading imperialist. The Leader of the Conservative Party in the United Kingdom is the most senior politician of the Conservative Party. To date, two of the leaders have been women: Margaret Thatcher and Theresa May. The post is currently held by May, who succeeded David Cameron on 11 July 2016. "May you live in interesting times" is an English expression purported to be a translation of a traditional Chinese curse. While seemingly a blessing, the expression is normally used ironically, with the clear implication that "uninteresting times" of peace and tranquillity are more life-enhancing than interesting ones, which, from a historical perspective, usually include disorder and conflict. Despite being so common in English as to be known as the "Chinese curse", the saying is apocryphal, and no actual Chinese source has ever been produced. The most likely connection to Chinese culture may be deduced from analysis of the late-19th-century speeches of Joseph Chamberlain, probably erroneously transmitted and revised through his son Austen Chamberlain. Simon Rosenbaum B.Sc. (born 1877) was a British academic active in the early twentieth century, whose major field of study was statistics. He is perhaps best known today for an editing a collection of essays entitled Against Home Rule: The Case for Union, which was first published in 1912 at the height of the crisis over Irish Home Rule. Contributors to this work included Arthur Balfour, Austen Chamberlain, and Leo Amery. The Left was Never Right was a book published in June 1945 by Quintin Hogg, the Conservative MP for Oxford, which examined the speeches and policies of politicians from the Labour Party and the Liberal Party concerning armaments and appeasement. These were contrasted to quotes by Conservative MPs such as Winston Churchill and Sir Austen Chamberlain supporting British rearmament and against appeasement of Germany. The books dust-jacket quoted Jesus' remark: "Out of thine own mouth will I judge thee" from Luke 19:22. Hogg stated that the Gollancz books were "morally wicked, unpatriotic and factually incorrect. The Left Was Never Right was an attempt to set the record straight and to establish that unpreparedness before the war was largely the consequence of the policies of the parties of the Left". It was the only book published which specifically countered Gollancz publications such as Guilty Men. In his memoirs, Hogg wrote that although the book was "a success ... it was too little too late to counteract the impression made by the earlier Gollancz publications". A coalition of the Conservative and Liberal Unionist parties took power in the United Kingdom following the 1895 general election. Conservative leader Lord Salisbury was appointed Prime Minister and his nephew, Arthur Balfour, became Leader of the House of Commons, but various major posts went to the Liberal Unionists, most notably the Leader of the House of Lords, the Liberal Unionist Duke of Devonshire, who was made Lord President, and his colleague in the Commons, Joseph Chamberlain, who became Colonial Secretary. It was this government which would conduct the Second Boer War from 1899-1902, which was exploited by the government to help win a landslide victory at the 1900 general election. The government consisted of three ministries, the first two led by Salisbury (from 1895-1902) and the third by Balfour (from 1902 onwards). Walter Frank Higgs (7 April 1886 – 8 August 1961) was a Conservative Party politician in England. 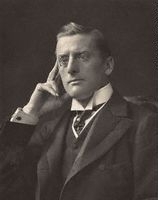 He was elected as Member of Parliament (MP) for Birmingham West at a by-election in 1937 following the death of the Conservative MP Sir Austen Chamberlain. At the 1945 general election, he was defeated by the Labour Party candidate, Charles Simmons. Wynn Hall is a 17th-century house in the old hamlet of Bodylltyn in Ruabon, Wrexham, Wales standing at the junction of the Penycae Road and Plas Bennion Road. It was built in about 1649 by William Wynn and is a Grade II* listed building.During the English Civil War Wiliam Wynn served on the Parliamentarian side and was imprisoned at Denbigh Castle. Wynn was one of the commissioners named in the 1650 Act for Propagating the Gospel in Wales. During the 17th and 18th centuries the family was connected with the development of the nonconformist cause in the Wrexham area. He died in 1692 and was buried in the Dissenters' Graveyard in Rhosddu, Wrexham.William Wynn's granddaughter Sarah, the daughter of Archibald Hamilton and Sarah Wynn, married the Rev. John Kenrick (1683–1745), minister of Chester Street Presbyterian Chapel, Wrexham which placed the house in the hands of the Kenrick family for over two centuries. The Wynn Hall Colliery was opened by William Kenrick (1798–1865), the grandson of John, and consisted of two pits, the 'Foundry Pit' and the 'Rock Pit'. Both pits were "drowned out" in 1846, severely affecting coal production. The Kenricks also owned a spelter (zinc) works at nearby Copperas.William's cousin, Archibald Kenrick, was grandfather of cousins Harriet and Florence Kenrick, the first and second wives of the politician Joseph Chamberlain, mothers of Sir Austen Chamberlain and the British prime minister Neville Chamberlain respectively . Florence Kenrick's sister Louisa was the wife of Joseph Chamblerlain's brother Arthur; they were grandparents of the author Elizabeth Longford and great-grandparents of the Labour politician Harriet Harman. Llewelyn Kenrick (1847–1933), the son of William Kenrick, was born at Wynn Hall. After attending Ruabon Grammar School he trained as a solicitor but always remained a keen football player. Kenrick was instrumental in forming the Football Association of Wales in 1876 at a meeting in the Wynnstay Arms Hotel in Ruabon. Kenrick captained the Welsh national side for their first game in 1876 in Glasgow, Scotland. He was later appointed coroner for East Denbighshire.This connection between the Kenricks and Wynn Hall ended in 1970 when the remaining members of the family sold the estate and emigrated to Australia. For a short period of time Wynn Hall had its own halt on the Ruabon Brook Tramway which ran between Rhosllannerchrugog and the canal wharf at Froncysyllte. Although this was primarily an industrial line, a rail motor service ran between Rhos and Wynn Hall Halt from 1905 to 1915; the line was torn up in the late 1950s and is now largely obliterated.